Trends come and go, whether it's restaurants revisiting nose-to-tail dining or rainbow food, which is currently consuming the States. But matcha – or green tea ground into powder – is in the middle of a revival, and it's not going anywhere. The super powder can be traced back to the Tang Dynasty, used by Zen Buddhists to help them focus during meditation. Spurred by our obsession with healthy eating, matcha is back in a big way. It's no longer reserved for lattes, but is appearing in everything from French desserts and ice-cream to curries and burgers. Nic Davidson, co-founder of both Matcha Maiden and Melbourne's Matcha Mylkbar​ cafe, is at the forefront of the global trend. After living in Hong Kong with his girlfriend and business partner, Sarah Holloway, the pair decided to try and sell matcha. They sold 10 kilograms in a couple of days and now bring three quarters of a tonne into Australia each month. Davidson believes the reason matcha has taken off here is because Matcha Maiden helped reposition it from a Japanese specialty product to a lifestyle product. 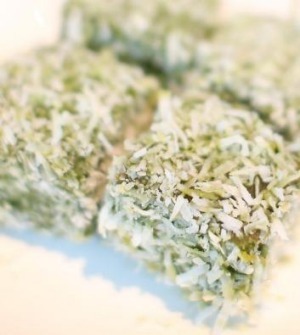 "Japanese and some Chinese people have been cooking dishes with matcha in them for centuries. We didn't invent it; we just pitched it to people who weren't aware of it," he says. In Chicago, a half-half mix of matcha and coffee has been dubbed the "military latte", because of its camouflage colouring. 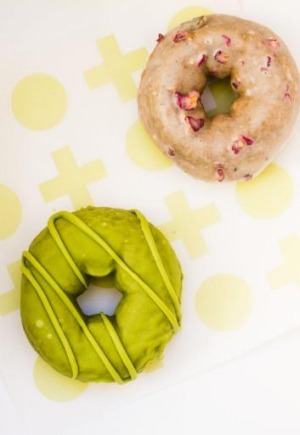 Although Davidson hasn't heard of this particular craze, Matcha Mylkbar is working on a vegan version of a bulletproof coffee – a long black with a chunk of butter and MCT oil (medium-chain triglycerides), which supposedly boost metabolism and concentration. Health properties aside, not all matcha is good matcha. It's generally agreed that Japanese matcha is superior to its Chinese counterpart and it can range from about $20 a kilogram to well over $200. Cheaper varieties can be bitter, while yellow-tinted matcha has probably oxidised or is low grade and lacking nutrients. 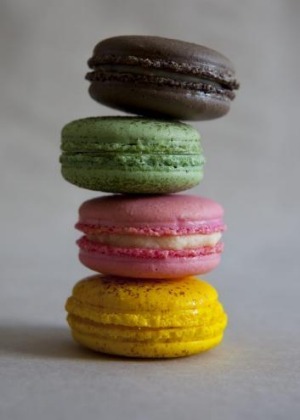 The flavour is vegetal – but not grassy – followed by an earthy sweetness and natural creaminess. In Sydney, founder of I Ate My Way Through food blog and tours, Jennifer Lam, ran her first matcha event in March. 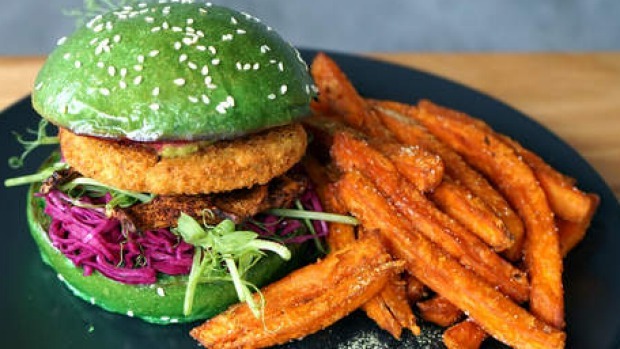 She organised a matcha food crawl, sampling green dishes and drinks in Redfern at numerous cafes. The event was so popular that Lam is planning another, this time showcasing matcha across a variety of dishes at a single venue. "A lot of people have heard about the food crawl and said they wish they knew about it sooner, so we are definitely planning more," she says. Whether you're waiting by your inbox for Lam's next matcha event or queuing for two and a half hours at Matcha Mylkbar on a weekend, Davidson thinks that we're going to remain green with envy for some time. "People said kale would run its course, but it's still absolutely everywhere," he says. "Like soy, matcha has been around for a long time, it's just a case of it becoming a lot more mainstream and accessible at the right price point." This Sydney cafe is known for their matcha macarons, but they have a whole repertoire of matcha desserts available. The most impressive is the matcha fondant, a warm chocolate number that oozes green tea and chocolate lava. 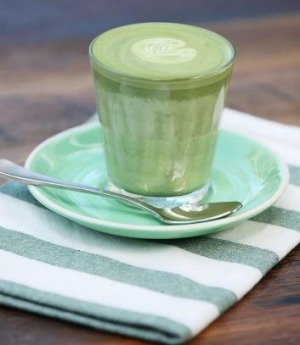 ﻿Sydneysiders head here when a matcha craving hits. 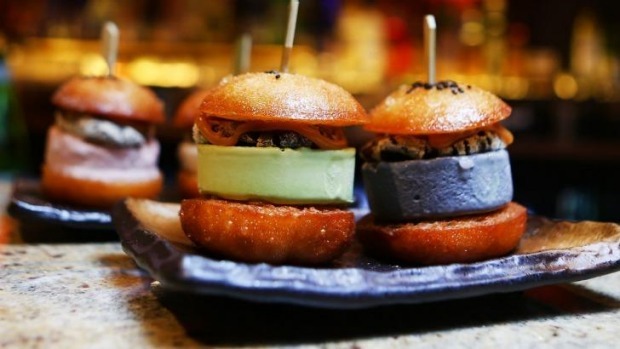 Among the savoury options are matcha fries and a trademarked matcha "baoger", while sweet treats range from matcha fondue through to a towering matcha waffle dessert with deep-fried Snickers, green tea ice-cream and miso caramel.